Lavender is calming and relaxing; lemon uplifting and stimulating. But why do each of those scents provoke these particular, visceral responses? 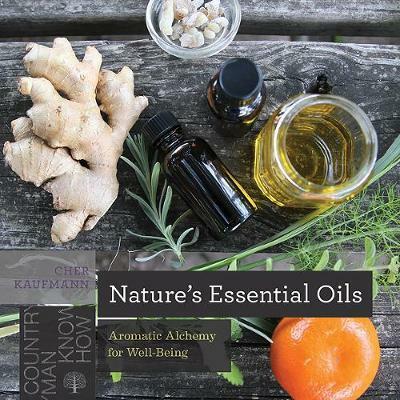 In Nature's Essential Oils, licensed massage therapist and aromatherapist Cher Kaufmann demystifies the how and why behind the uses and effects of essential oils. She explains the environmental factors that impact the chemical make-ups of herbs and other plants, and how they trigger our physical and emotional responses. The book includes recipes for blending oils for home and health, as well as how to select, store, diffuse and apply oils. A valuable resource for readers hoping to expand their knowledge of essential oils and their properties, it also includes a glossary of more than 30 of the most common essential oils for well-being.